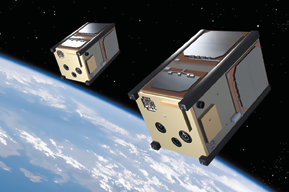 These satellites lie roughly between a 12U cubesat and an ESPA-class satellite. Industry studies suggest that six times more satellites will be launched in the next ten years than were launched during the past ten years. There is a nearly endless variety of smallsats; however, their path to orbit is rife with obstacles and that suggests that a standard form factor for smallsats may be a significant part of the solution. 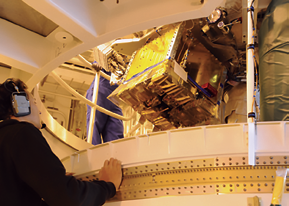 The Launch Unit is designed to fit into many current and upcoming rocket fairings and can even accommodate cubesat dispensers. In addition, the proposed Launch-U can be accommodated by most current and upcoming launch systems. The Launch-U recommendation offers an opportunity to reduce integration costs, maximize launch fairing efficiency, and decrease time to launch. 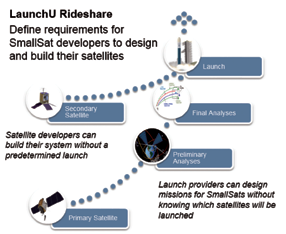 The current rideshare (or multi-manifest) paradigm requires that a smallsat manufacturer identify its launch provider long before the launch date and perform time-intensive analyses unique to the launch vehicle. However, in this setup, delays for the launch vehicle or primary satellite can have a serious impact on the small satellite’s mission success. Given such delays, the smallsat mission would either have to wait for the original launch to be rescheduled or select a new launch provider and recalculate launch loads for the new launch vehicle. In the Launch Unit era, launch providers would already know the launch loads to be expected for a satellite built to the Launch-U standard. Satellite developers can build their systems without a predetermined launch vehicle, and launch providers can design missions for smallsats without knowing which satellites will be launched. It is even conceivable that, with widespread acceptance, smallsats built to the Launch-U standard can be swapped into and out of launchers close to their launch date, as has been done for cubesats. In doing so, the Launch-U enables flexible and assured access to space for the small satellite market. is courtesy of Aerospace Corporation. To make the Launch Unit era a reality, each stakeholder plays a key role in the implementation of the Launch-U. Launch vehicle providers, integrators, and aggregators can plan for how the Launch-U will affect their business models while spacecraft developers can build Launch Unit–compliant platforms. Ultimately, launch swapping is affected by policies for licensing, export control, range safety, and propellants, as well as “do-no-harm” practices. Increasing the transparency of these regulatory measures will play a key role in the success of the Launch Unit paradigm. Of course, the saga leading to the proposal of the Launch Unit has unfolded over the past 60 years as we have seen a wide diversity of objects launched to Earth orbit. From the game-changing Sputnik probe in 1957, to the record-breaking 88 Doves from Planet in 2017, satellite capabilities have improved by leaps and bounds, while the average size and mass of these satellites have fluctuated. Small experimental satellites at the dawn of the space age gave way to large, expensive satellites with designs driven by capacity and capability. 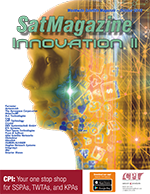 As satellites became commercialized, more emphasis was placed on cost and schedule constraints. This, alongside the miniaturization of satellite components, led to the development and adoption of the cubesat standard (10×10×10 cm and 1.33 kg.) for the smallest satellites during the late ‘90s. The cubesat standard has played a critical role in lowering the barrier of entry to satellite design and development and encouraging low-cost access to space. Following the cubesat standard’s footsteps, the Launch Unit standard will provide a similarly straightforward path-to-orbit that will benefit launchers, satellite manufactures and end-users alike. The Launch Unit consortium is looking for feedback from the community on recommendations until the end of 2018. Please provide feedback at this URL: https://docs.google.com/forms/d/e/1FAIpQLSeHhaoQ7qbbwkuhZob-M_gGV0u-aqc9lHuCrMrFsfKpDD306A/viewform?c=0&w=1. Dr. Danielle Piskorz is a member of the technical staff in the Visible and Infrared Sensor Systems Department at The Aerospace Corporation. Since joining the company in 2017, she has evaluated various aspects of electro-optical system performance for space situational awareness (SSA) and overhead persistent infrared (OPIR) applications. 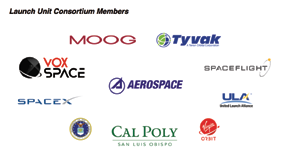 Prior to joining Aerospace, Piskorz worked in the space policy group of the Science and Technology Policy Institute (STPI) in and at the Space Studies Board (SSB) of the National Academy of Sciences. At STPI, she contributed to reports on the future of the space station and on-orbit manufacturing and assembly. At the SSB, she staffed reports on NASA’s aeronautics division and the agency’s strategic direction. Carrie O’Quinn is a senior project engineer in the Research and Development Department at The Aerospace Corporation. She is responsible for providing direct technical support to the National Security Space Research and Development customer on a CubeSat experiment program which discovers, researches, builds, and flies new and emerging space technologies on a series of annually launched CubeSats. In this role, she also manages the Aerospace technical resources to assist in the development of advanced space technologies. Prior to her current role, O’Quinn provided technical leadership to the National Reconnaissance Office (NRO) Office of Space Launch (OSL) in the areas of advanced development projects, rideshare and small satellite integration and launch processing activities, and systems engineering. Before joining Aerospace, O’Quinn worked for Orbital ATK on the Taurus launch vehicle, Cygnus spacecraft, and a launch vehicle development program. Previously, she worked as a Six Sigma Black Belt Engineer for both Trane American Standard and Black and Decker.